Byers Kia knows that there’s a vehicle for every kind of budget. That’s why we keep a selection of affordable vehicles that are under $10,000. If you’ve been searching for used car deals, look no further than our Kia dealerships in northeast Ohio located in Lewis Center. We’re ready to help you find the best used car, truck, or SUV that’ll work for your Marion commute. CARFAX One-Owner. Clean CARFAX. 2013 Kia Rio LX Aurora Black FWD 6-Speed Automatic 1.6L I4 DGI 16V Black w/Knit Cloth Seat Trim. Recent Arrival! 28/36 City/Highway MPG If you've found us, it's no coincidence. 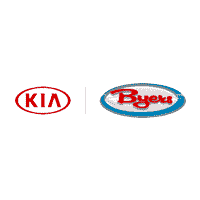 Byers Kia is known for our competitive pricing and amazing customer service. Yes we have a huge selection of new Kias but used vehicles are our specialty. If you're from Columbus, you know the Byers name. If not, we've been around for over 120 years and we would love to add you to our long list of satisfied customers. Contact our sales department today at (888)-319-1552 to schedule a test drive! Clean CARFAX. 2007 Ford Escape XLT Vista Blue Clearcoat Metallic FWD 4-Speed Automatic with Overdrive Duratec 3.0L V6 Duratec 3.0L V6. Recent Arrival! Awards: * 2007 KBB.com 10 Best Used Cars Under $8,000 If you've found us, it's no coincidence. Byers Kia is known for our competitive pricing and amazing customer service. Yes we have a huge selection of new Kias but used vehicles are our specialty. If you're from Columbus, you know the Byers name. If not, we've been around for over 120 years and we would love to add you to our long list of satisfied customers. Contact our sales department today at (888)-319-1552 to schedule a test drive! Clean CARFAX. 2006 GMC Envoy SLE Onyx Black RWD 4-Speed Automatic with Overdrive Vortec 4200 4.2L I6 MPI DOHC Recent Arrival! If you've found us, it's no coincidence. Byers Kia is known for our competitive pricing and amazing customer service. Yes we have a huge selection of new Kias but used vehicles are our specialty. If you're from Columbus, you know the Byers name. If not, we've been around for over 120 years and we would love to add you to our long list of satisfied customers. Contact our sales department today at (888)-319-1552 to schedule a test drive! Why Buy a Used Car from Byers Kia? With our current selection of used Kia and other makes, we’re certain you’ll be able to find something within our incredible used inventory. Since our inventory is made up of all sorts of cars, trucks, and SUVs from brands like Ford or Hyundai, you’ll find a mix of all sorts of vehicles to choose from. Browse our selections online before you stop by Lewis Center from Delaware to step inside the right model that fits your budget and lifestyle. To get one step closer to your new vehicle, apply for financing before you come in. Contact us when you’re ready to start your used car buying experience at Byers Kia!